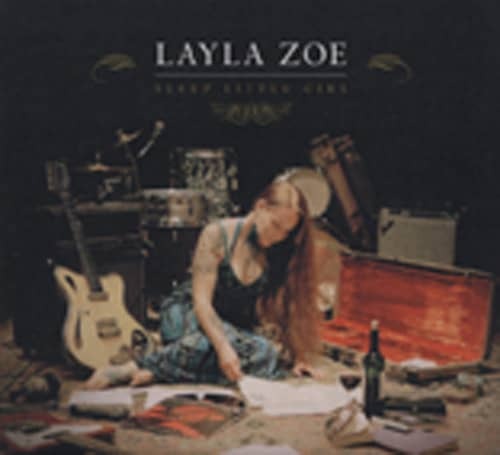 Layla Zoe has been called 'the Reincarnate of Janis Joplin' and deemed Canada's 'Darling of the blues'. German blues/rock guitar slinger, Henrik Freischlader has produced this new album. The results are awesome, and ambitioned album full of soul and energy which comes across, almost perfect. The recording sounds fantastic, the songs are great. So it's a matter of personal liking concerning Layla's vocal style. Highly recommended. - Digipak w/ Booklet (lyrics). LAYLA ZOE - voc, HENRIK FREISCHLADER - gtr/bas/drums, MORITZ FUHRHOP - org. Customer evaluation for "Sleep Little Girl"